So the average price of a complete set has come down a lot, whew! But now guide prices are crazy, blargh. 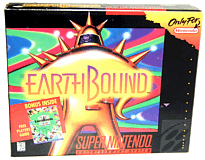 But the real WTF of this month is that several EarthBound boxes sold for well over $200 each, while at the same time you could buy cartridge + box combos for half the price! As always, there’s lots of buying tips and info on buyearthbound.com, so check it out if you’re planning to buy any of the above anytime soon – you could save loads of money! 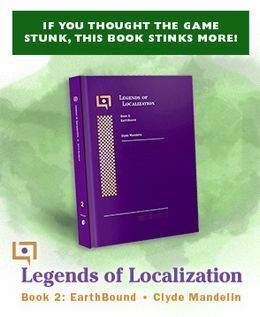 I’m so damn sad, I sold my guide a month or so back for 55 bucks, now it’s 150… *sigh* I gotta save up and buy a full set soon before things become too insane to ever get a copy. I got a guide in MINT condition from a friend of mine who owns a second hand game store for $14.95. I am very happy about this. He told me if he finds it on eBay he will kick me where it hurts. There is still the option of buying MOTHER 2 for less. If you know Japanesr I’d recommend it being your first option. Just a tip!